Facebook founder Mark Zuckerberg explains their goal is to help computers to “understand language more like a human would with context, instead of rote ones and zeroes memorization like a machine.” Precisely because of this Facebook has Facebook Artificial Intelligence Researchers (FAIR) to understand and develop systems with human level intelligence by advancing the longer-term academic problems surrounding AI. Researches are related to AI and to deriving knowledge from data: theory, algorithms, applications, software infrastructure and hardware infrastructure. 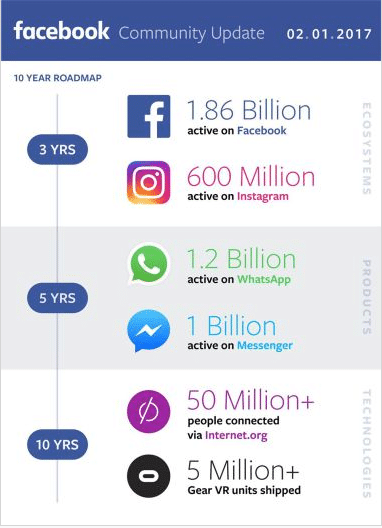 Data is given from the news February 2017, user numbers continue to rise for Facebook as there are now 1.86 billion monthly active users, a 17 percent increase from this time last year. 1.23 billion people use the site daily, up 18 percent annually. Mobile adoption also continues its upward momentum with 1.74 billion monthly active users, a 21 percent rise. And no one has more data about us than Facebook. Facebook AI Multiple to various working areas. According to Kevin Lee, a technical program manager at Facebook and author of the blog. The significant part, Deep learning can help improve things like speech and object recognition, and it can play an important role in advancing research in fields as diverse as physics, engineering, biology and medicine. Deep Learning techniques enable machines to learn to classify data by themselves. A simple example is a deep learning image analysis tool which would learn to recognize images which contain cats, without specifically being told what a cat looks like. By analyzing a large number of images, it can learn from the context of the image – what else is likely to be present in an image of a cat? What text or metadata might suggest that an image contains a cat? But language is more complicated for computers to parse than simply identifying objects in pictures. User’s comments and posts feed Facebook text data and the machines should be able to discern relationships between words on their own by breaking down the texts into individual letters and even exclamation marks. If we take an example, Deep Text ventures to understand how people use slang and determine the specific meaning of a word that may have multiple meanings by understanding the context. Additionally, this technology will help match users with advertisers, weed out prohibited content, rank search results, and identify trending topics. Facebook users spread out the whole around the world and more than half does not speak English. To remove these communication barriers, the Applied Machine Learning team built an AI-based automatic translation system that helps 800 million people every month see translated posts in their News Feed. Non-traditional, the language used on our platform is different than others. Facebook is all about human-to-human language: It’s alive, people use new expressions all the time, they don’t spell out their words, there are regional differences, and there are emojis. In 2011, Facebook announced the launch of a new translation tool powered by Microsoft Bing. Translate that lets users select to view Page posts in their native language. Page admins can select to show only machine translated posts, or they can select to allow Facebook users to submit their own translations. When thinking back on your favorite memories, it can be hard to remember exactly when something took place and who took the photo to capture the moment. Using Facebook’s automatic image classifiers, you can imagine a scenario where someone could search through all the photos that his or her friends have shared to look for a particular one based on the image content instead of relying on tags or surrounding text. Pretty cool! Facebook is working on artificial intelligence (AI) feature that can understand what’s going on in your photos, which in turn would help your Newsfeed perform better. A more helpful area; this feature will allow it to answer questions about a photo, a feature aimed at helping blind people “see” images uploaded to the social network. Facebook is building systems that can understand images at the individual pixel level rather than just classifying the entire image. This is called image segmentation, and it allows them to recognize individual objects in the image as well as their relation. Using image segmentation they will be able to build more immersive experiences for the visually impaired with “talking images” you can read with your fingertips, as well as more powerful ways to search images. You can find experimental videos here. Also, Facebook has used the Applied Machine Learning team’s platform to apply computer vision models to satellite images to create population density maps and ultimately determine where it needs to deliver broadband in the developing world. And its video-captioning efforts have proven to increase engagement, as measured in shares or likes, by 15% and boost viewing time by 40%. Zuckerberg had joined a “chatbot arms race” with Microsoft CEO Satya Nadella. Bots can provide anything from automated subscription content like weather and traffic updates, to customized communications like receipts, shipping notifications, and live automated messages all by interacting directly with the people who want to get them. Generic Message Templates: We think people prefer to tap buttons and see beautiful images, rather than learn a new programming language to interact with your bot. That’s why Facebook have built structured messages with call to actions, horizontal scroll, urls, and post backs. Welcome screen + Null state CTAs: Messenger app is giving you the real estate and the tools to customize your experience. This starts with the welcome screen. People discover our featured bots and enter the conversation. Then, they see your brand, your Messenger greeting, and a call to action to “Get Started”. Facebook mobile app is transform video using ML in real time and bringing artsy networks to your phone with its Caffe2go feature. Record smartphone videos that copy the style of famous artworks with that feature. 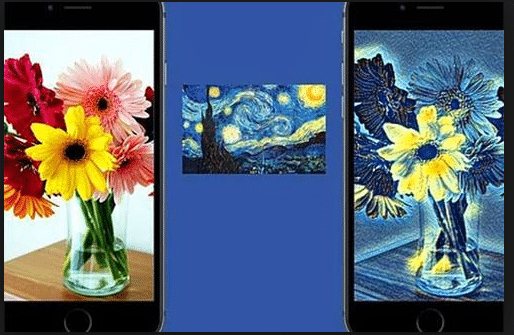 Using a technique called style transfer; the feature takes live video and turns it into something that resembles the work of Van Gogh, Picasso and other artists. This effect is similar to Prisma, which uses similar techniques to change the look of photos. Prisma’s app can’t perform live filtering, and some filters require a connection to the internet. 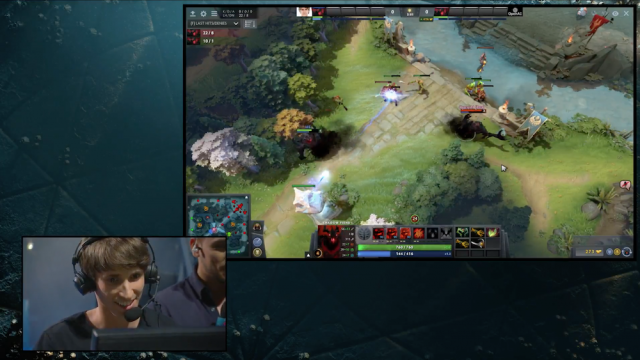 Facebook’s system can work offline and render live. This technology is a framework that lets Facebook engineers run deep neural nets on a smartphone, and it can have applications beyond just video interpretation. While the system’s resulting images are snazzy, they also show off the potential to bring machine learning closer to users’ daily lives. The company is making reporting a potentially suicidal user easier, but it has also developed technology where a potential case could be dedected even before it is reported. Company has developed technology that scans users’ posts and comments left by friends, looking for trouble signs. Facebook product manager Vanessa Callison-Burch told the BBC. 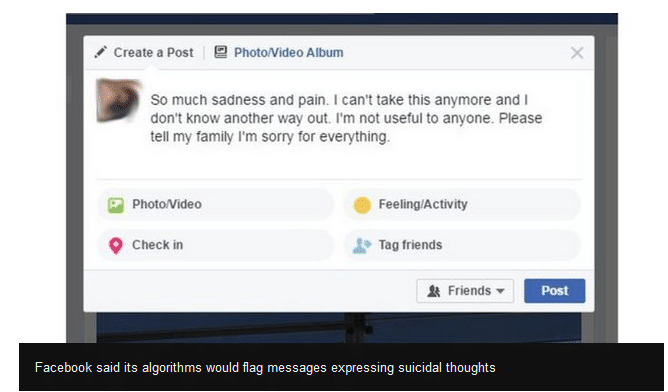 It has now developed pattern-recognition algorithms to recognize if someone is struggling, by training them with examples of the posts that have previously been flagged. Talk of sadness and pain, for example, would be one signal. Responses from friends with phrases such as “Are you OK?” or “I’m worried about you,” would be another. Facebook AI open sourced their professional world champion beating AI software in 2018. Mark Zuckerberg has acquired 68 companies till date. Facebook’s largest acquisition so far has been WhatsApp Messenger, which they purchased at $19 billion in February 2015. Other notable acquisitions include Instagram ($1 billion in April 2012) and Oculus Virtual Reality ($2 billion in March 2014). The total cost of Facebook’s acquisitions to date is $ 23,124,700,000. 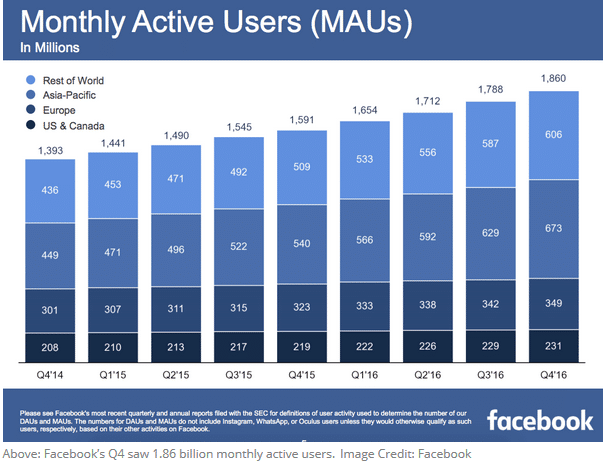 But today Facebook’s community in the figure and daily active user amounts is rising day by day. Now that you know what Facebook is up to, get ready to explore how Google is using AI! For a bit more info on how AI is used in Facebook, you can listen to Facebook head of AI Research Yann Lecun.